Ex Sartagine is a mod about a Frying Pan. 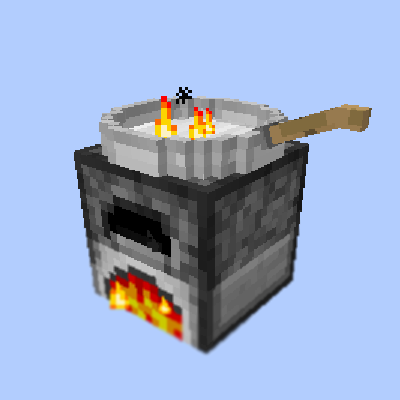 I'm planning on adding ~~a pot especially for smelting ores the same fashion as the frying pan~~, and maybe a cooking pot with addition of boiled eggs / boiled potatoes / more soup. The Future is now ! Visit the official Wiki for more info about the blocks ! IMPORTANT : Ex Sartagine requiers SubLib "sublib-1.11-1.1.4.0" or up ! Just like many other food mods, this mod adds OreDictionairy entries to register foods. PotRecipes.getInstance().addRecipe((ItemStack) input, (ItemStack) output); anywhere in your code to register a recipe ! LOVING the mod so far! My only problem is I'm not seeing any of the pastas or the noodles from the wiki. Would it be possible to get a version of this mod with only the frying pan, no other recipes or objects? For compatibility with other cooking mods, specifically. I will try to add a config option for the pan only. I wasn't really aware of that before, I'm sorry, I do have another question if you wouldn't mind? Apparently it won't cook egg recipes from other mods that use the furnace. Most food mods have at least one "fried egg" recipe and for whatever reason it won't cook them. Regardless of the mod, I've tried several mods. Is there any way to fix this? I understand if it's not possible, of course, I'm mostly just curious as to why it's happening. if other mods all use vanilla eggs for a scrambled egg, it will output most likely only one kind of processed egg, if the eggs are registered with the ore dictionary in-code. I don't really have an explenation as to why it doesnt cook it. 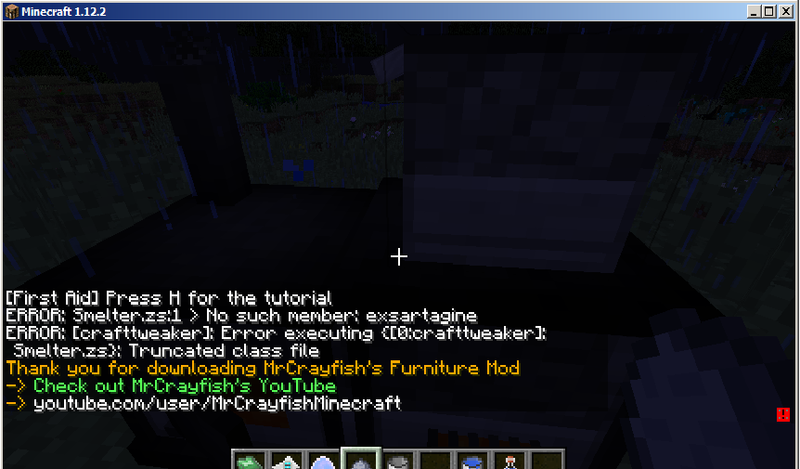 i can only give you the solution : add the recipe trough crafttweaker ! But it just doesnt work! Did i do anything wrong or CraftTweaker not supports this mod ? 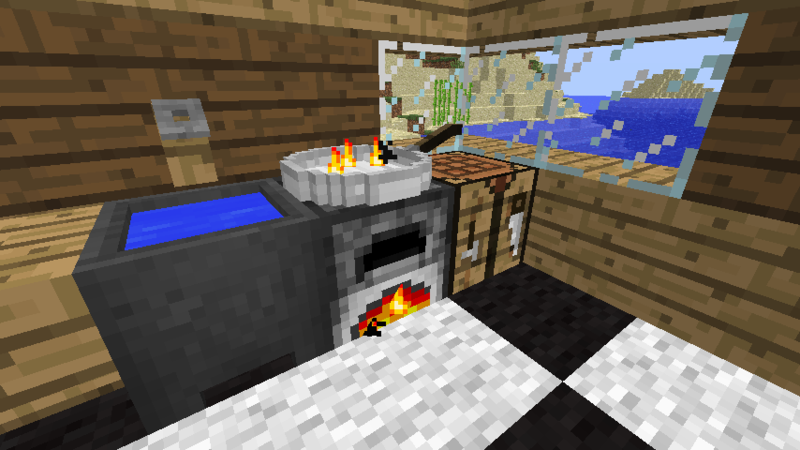 How can we add recipes to the cooking pot without having to write a plugin/addon? Can modtweaker support be added? How does the frying pan know what can be cooked with it? If I add a recipe to the furnace will it pick it up? Can a config file be added with options to change the ratio of extra ingots from the smelter, and to disable the furnace from automatically activating when fuel is inserted? While trying to implement hopper logic, it seems the Range already supports hopper logic ! Just place a hopper behind, on the side or above, and it'll pump that coal into there with no effort ! This is shaping up to be an excellent mod. There seems to be a quirk in the Smelter's oredictionary support, though, as it seems to detect things like Thermal Expansion's ores just fine, but mods like Iskallium Reactors and Aether Legacy don't have their ores supported. I'm guessing it's because they have 'ore' in their name, but it's typically prefixed or suffixed by something depending on the mod. Could this be altered for a broader definition of 'ore'? Is this a bug? Furthermore, in lieu of using the smelter to cast ingots, which you could always add in the future, could it instead for the time being support hoppers to import from the top and export from the spout side? Ive never been a wizard with blocks. hopper suppot has always been on my mind, but I haven't had the courage so far to tackle it. I will have a look into this. is it possible the forementioned mods do not have oredict entries ? should already be the case. they 'pinch of salt' ingredient they use has the same oredictionairy entry as my own salt. anything else that should have compatibility ?